The best Spanish ham of the world. Joselito There are 16 products. 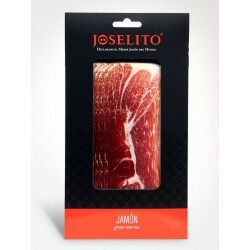 Joselito Iberian acorn fed ham, considered the best ham of the world by many experts. 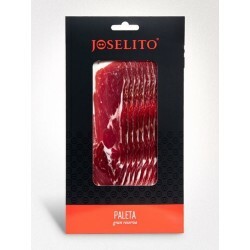 Slicing Spanish Iberian Joselito products in Moneo Box design. Shoulder of ham, chorizo, salchichon and loin. 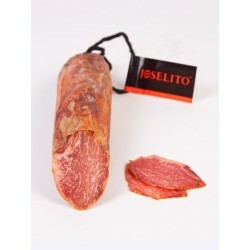 Joselito Spanish Iberian acorn fed loin, between 1-1,1 kgs per piece. 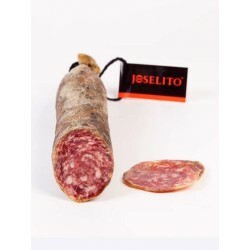 Lomo Ibérico de bellota Joselito loncheado en sobre de 70 gramos. 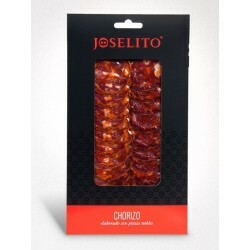 Joselito Spanish Iberian acorn fed chrorizo, between 1-1,1 kgs per piece. 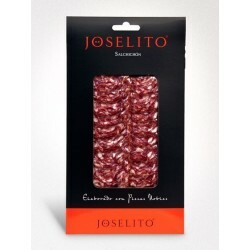 Joselito Spanish Iberian acorn fed salchichon, between 1-1,1 kgs per piece.